I've been thinking about Alexander Brener lately. You may have heard of him: he's the Russian performance artist who in 1997 painted a green dollar sign over Malevich's Suprematism (White Cross) (see left). Brener claimed that his gesture was protesting the role of money in the art world. The media coverage focused on the monetary damage done to the painting (which was valued at €6 million), which Brener said exactly proved his point.1. Other artists have also decided to destroy or manipulate another work of art in order to make an artistic statement or protest. If you're interested in seeing some examples, I would recommend that you read this fascinating post. The author mentions several examples of art destruction (including the story of Mark Bridger, who spilled black ink into one of Damien Hirst's formaldehyde tanks). 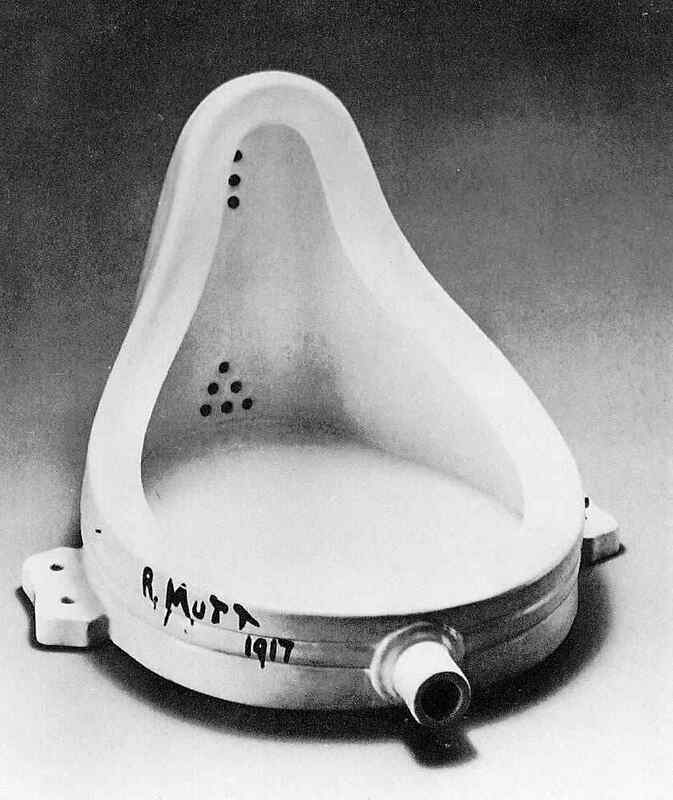 I learned from this post that a couple of artists have urinated on/in Duchamp's Fountain at different times in the past two decades. Ha! I think that idea might have been clever the first time, but the repeated attempts seems a little silly. But, all that being said, I do have to admit one thing: such destruction can make me think about a work of art from a new perspective. And that's one of the things that I like most about art.